There is no getting around the fact that our world continues to grow in complexity and intensity. Even though there are incredible statistics on the human brain’s ability to process information (billions of bits of information per second), we still find ourselves barely keeping our heads above a sea of information, moving rapidly through extremes of emotion, and enduring a level of stress as individuals and society that seems to exceed our systems to manage it. One often downplayed coping mechanism in this age of coffee shops on every corner, super-charged soft-drinks, and shot-glass sized energy drinks that seem trendy to guzzle, is our simple need for sleep. Whether it is the hyper-caffeinated world we live in or the superhero image we strive for, we still cannot escape our need for sleep. Many of us have experienced a series of all-nighters for major work projects, year-end exams in college, young children at home, and the occasional out of control social function. There are times in our lives when short burst of little or no sleep can be muscled through, but the sustainability of a less than optimal amount of sleep can bring about a number of significant health and relationship problems. The superhero image of doing everything and not taking the time to sleep will eventually hinder us from reaching our full potential. Charles A. Czeisler, the Baldino Professor of Sleep Medicine at Harvard Medical School, once described sleep deficit as the “performance killer.” His research indicates that sleep deprivation hinders performance in a number of ways. (1) “Veg’ing out” or “chillin’ out” or whatever generational term you may use for spending a little too much time watching TV, surfing the internet, or clicking through numerous social media sites, has been proven to not offset the need for an adequate amount of sleep. Most research suggests that these types of activities do little to create the true rest that only sleep can provide. In addition, a more practical and honest assessment of our habits on these activities would probably conclude that these activities most likely keep us from doing the harder work of building relationships, creating the capacity to think, and completing that much needed project. (2) Playing catch up by sleeping longer on weekends does meet our bodies need for a more consistent pattern of sleep. Cramming may have work during school, but research shows that it won’t work for sleep just like cramming won’t work to reap an abundant harvest on a farm. 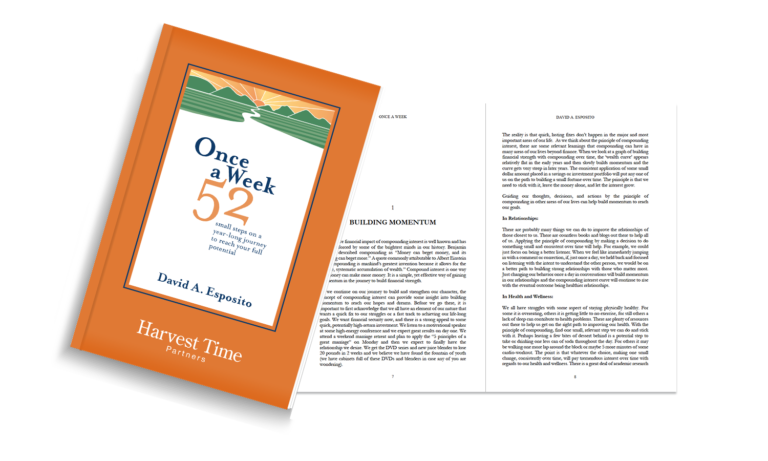 We need a consistent approach, delivered over time to get adequate sleep and to reap an abundant harvest. Most of the studies done on sleep would describe an adequate amount of sleep to be in the range of 7-8 hours per day. There maybe a few on the fringes of that average, but for most healthy adults, 7-8 hours is the optimal amount. Our process to ensure adequate sleep is no different than the process to develop any other worthy habit. We need to (a) set clear goals (b) develop a simple plan (c) eliminate as many potential barriers as possible and (d) exercise some discipline to muscle through the painful beginning until the “feel good” outcome of the habit locks into our brain and we could not imagine going back to the state of our sleep deprived past. With something as unique and personal as an individual’s sleep schedule, I do not want to put forth too much of a road map. My intent with this blog is to pass along a reminder of the importance, a few hints to get started, and a little encouragement to make it a priority otherwise we will fall short of our potential. As for the hints to get started, determine a wake-up time that works for your schedule and then do the simple math to get the rest of the plan together. Establishing a consistent time to wake-up is one of the keys to a solid sleep plan. In addition, eliminate or set up some serious barriers to our chosen “veg’ing out” method in the evening as that will help us shut down in a timely manner to make the math work on hours of sleep. As for encouragement, research clearly indicates that our overall health, emotional state, and performance is significantly improved when we get an adequate amount of sleep. When we exercise the discipline to get enough sleep, we will build and strengthen our character through prioritizing what is important, but not necessarily urgent and Character Creates Opportunity® to set a great example for those around us. Those closest to us will see us healthy with the right amount of sleep and our example will be contagious. As we continue on our journey of building and strengthening our character, an important point to remember is that there is no finish line. I was recently giving a talk to a group of educators and students where the focus of the discussion was on effectively dealing with the rapid pace of change in our homes, our businesses, and our communities. 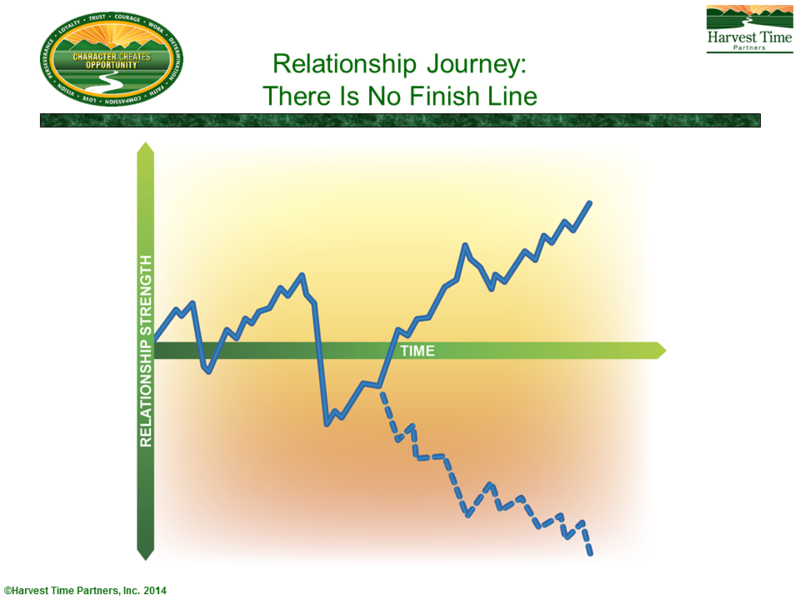 I used the enclosed graphic to make three points: (1) There is no finish line with regards to our impact on the relationships around us. Even in death, the legacy of our relationships lives on in the lives of those left behind (2) All important relationships endure some significant ups and downs and (3) When we choose to guide our thoughts, decisions, and actions by principles like honesty, compassion, and sacrifice, we strengthen our character and our relationships. When we fail to guide our thoughts, decisions, and actions by those same principles, we weaken our character and our relationships. I offered three suggestions to this group to provide them with some support and encouragement to keep moving forward in their journey. I hope these suggestions can lend some support and encouragement to you. Stay Humble: We really do reap what we sow as defined in the Law of the Harvest. This is a very well-worn, principled path to achievement. Although life is not always fair, more times than not, if we set a goal, make a plan to achieve that goal, work hard over time on delivering on the plan, we will reap a harvest and accomplish the goal. We need to be careful not to let the momentum of our success build our pride as we will have a tendency to miss warning signs of pending challenges and our decision making relies on our own track record and fails to take the counsel of others. If we do not stay humble, the transparency that is our new reality has a tendency to crush our pride in very public and painful ways. Stay humble. There is a great deal of historical reference and academic research that demonstrate the power of the written word. Although human civilization survived and grew without the written word, when writing first came into civilized society it provided an accelerant for learning, growth, and innovation. Writing down thoughts and ideas has been proven to make them more concrete in our minds. In addition, the written word improves our ability to understand and internalize which will more effectively enable a change in our behavior. In today’s world there is plenty of advice from personal development “gurus,” life-coaches, kitchen table psychologists, etc. who would tell us that goals not written down or plans that are only talked about rarely materialize into an accomplishment. Written words enable us time to reflect, think more clearly, and in turn, take action more effectively. On the issues of personal and professional development, planning, and attempting to have a meaningful impact, I am in the camp that believes without writing things down and revisiting them from time to time, there is little hope that we will make meaningful, measureable progress on any endeavor. “Winging it” is not a sustainable proposition in today’s world that continues to grow in complexity and intensity. Written goals and plans help form the foundation for steady progress. There are two areas of practical application to leverage the power of the written word that I want to address in today’s blog. (1) A Personal Journal: Throughout history, there have been numerous examples of people of impact who developed the habit of keeping a journal to help shape their attitudes, reinforce their direction in the important areas of life, and continue to make progress towards reaching their full potential. There are a number of techniques, tools, and resources available to help us, but at the end of the day, we need choose one that works for us and develop the habit. It has been proven beneficial to take a few minutes each day to write down some thoughts around pressing issues in our lives, relationships that need strengthening, and personal goals that seem unreachable. We will be following in the footsteps of some pretty effective people and we should be confident that we will make progress in our ability to have a positive impact. (2) Written letters to others: With today’s abundance of online chatter, it should not be lost on anyone that we rarely are givers or receivers of a genuine, well-thought out letter of appreciation, thanks, or encouragement. With the exception of the nice birthday card, holiday greeting, or a line or two of abbreviated text via social media, we probably have not received or given a well thought out letter in a long time. Some researchers have found that receiving a written word of encouragement is more effective than any other form of communication. (A) When I look back over certain periods of my professional life, I spent more time and effort writing year-end review comments to team members or writing employee goals than I had in writing a note of encouragement or appreciation to other people in the more lasting areas of my life…perhaps you have too. (B) Observing the example of others who are raising the bar. A number of years ago a close friend shared a story with me that has stayed with me and consistently reminds me of how important the written word can be to strengthen relationships. When he and his siblings went away to college, his father wrote them a letter every single day for four years. It was not a short letter. Each letter was a full, single-spaced, two sided piece of paper describing how proud he was of them, that “the family” was behind them, and how he continued to encourage them to reach their potential. Every day in their mailbox, they received one letter, except for Monday, when they would get two because the mail did not come on Sundays…for four straight years. My friend described many of the wonderful things their father did for them and their family over the years, but that single act of letter writing throughout their college years which demonstrated such dedication, commitment, and encouragement had the greatest impact during their very formative years. As we build some habits around the importance of the written word, we will build and strengthen our character and Character Creates Opportunity® for us to be more effective in the essential things in life. The National Parenting Center recently gathered its panel of some of the world’s most respected authorities in the field of child rearing and development to provide parents with a comprehensive and responsible review of recently released products. 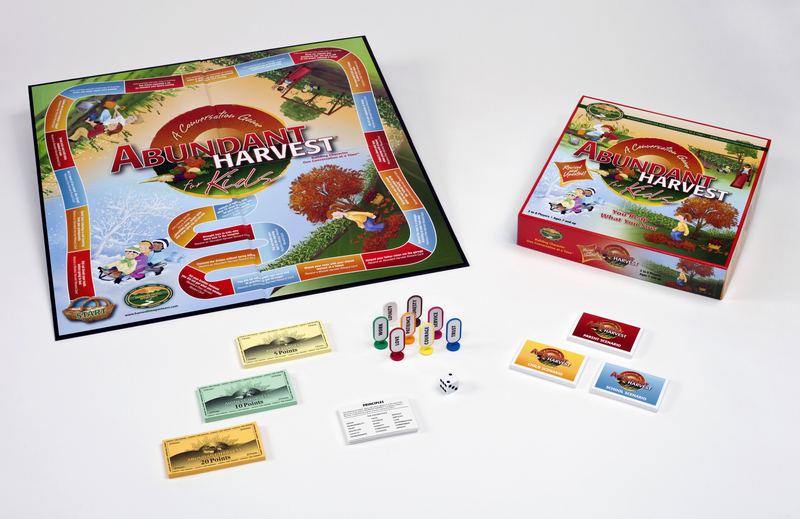 The National Parenting Center’s expert panel released their review of Abundant Harvest for Kids. We want to thank the expert panel for a very thorough and thoughtful review. Their comments provide a great summary to guide parents and educators on the intent of Abundant Harvest for Kids. Our world is not short on new ideas or techniques to help us all succeed in achieving our hopes and dreams. Whether it is a new diet plan that will help us achieve the health we desire, a new idea to open up better communication in a struggling relationship, or maybe it is the new idea to spark excitement and engagement in our organizations, we can always find new ideas to more effectively address our changing world. Many times these new techniques are ‘just what the doctor ordered’ to help us get moving down the path toward accomplishment. As we continue on our journey of building and strengthening our character, one of the personal habits we need to develop is taking the most effective first step in dealing with a challenging situation. When we are faced with a challenging relationship, a personal dilemma, or a challenge in our business, the most effective first step is to look at ourselves. Unfortunately, we all have a common tendency to look outside of ourselves first to identify the genesis of our problem instead of looking in the mirror. When our closest relationships begin to struggle, we have a consistent pattern of looking at the other person’s faults and not what we have done to contribute to the problem. When businesses fail to achieve their potential, there is a strong tendency to develop the list of external events impacting the business and minimize the shortcomings of leadership that does not set clear direction, behaviors that fail to reinforce the desired culture, and the unwillingness to do the hard work of tactical execution. On some personal areas like our health, we can always blame a busy lifestyle for not getting the proper nutrition or exercise. Our character is built and strengthened when we can take that first step to look at ourselves in a very authentic and genuine way to find some area of our own contribution to the problem. As we identify those areas within ourselves and commit to delivering on a plan to improve, the shortcomings of others become a distant thought and any associated anger and frustration is minimized. We take responsibility for the situation and that is an effective first step on the path to improvement. As we look to deliver on the first and greatest victory as Plato suggests, we will build and strengthen our character and Character Creates Opportunity® to have a greater impact in our homes, our businesses and our communities. The National Parenting Center recently gathered its panel of some of the world’s most respected authorities in the field of child rearing and development to provide parents with a comprehensive and responsible review of recently released products. 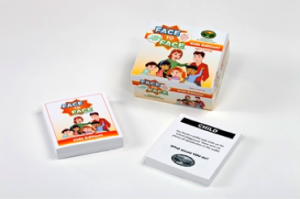 The National Parenting Center’s expert panel released their review of Face to Face Teen Edition. We want to thank the expert panel for a very thorough and thoughtful review. Their comments provide a great summary to guide parents and educators on the intent of Face to Face Teen Edition. The importance of touch does not get a great deal of attention in society and is only now beginning to gain some traction within published, academic research. As we continue on our journey to build and strengthen our character, an opportunity that we do not want to miss is the positive outcomes that result from touch that can build, strengthen, and heal relationships. We are all well aware of the physical bonding that happens between a loving parent and a young child. There is a strong body of evidence to suggest that loving, physical contact at the early stages of a child’s life are critical to his or her physical, mental, and emotional health. There is a great deal of documentation on the steep rise in infant morbidity and mortality when there is a lack of loving, physical contact during the early development years that has been seen in orphanages around the world. This message is not just for the home. Even if we were fortunate to grow up in a home where touch was reinforced throughout our lives in support of healthy relationships, chances are that societal pressures probably got the best of us in school and work where a supportive pat on the shoulder is sometimes considered out of line. Studies have shown that teachers who provide a friendly tap on the shoulder increase student engagement and learning. In my professional journey, I have seen the benefits that a supportive touch on the shoulder can communicate straight to the heart of an individual that they “belong on the team” and that we will work together to deliver results. It is unfortunate that some foolish, out of hand behavior makes the headlines in work and school which increases our collective resistance to providing the benefits of a supportive, helpful touch. (1) “An ounce of prevention is worth a pound of cure” (thanks to Ben Franklin). Many of us maybe talking and acting in a very supportive and encouraging way in our close relationships. However, statistics will show that for most of us, a consistent, supportive touch is not part of the equation. Given the well-documented benefits to our physical, mental, and emotional health and to the health of the relationship, start being intentional about adding a supportive touch to the mix as it will build relationship strength to help overcome the inevitable challenges that relationships bring throughout life. Start in the home and then build your courage to take it elsewhere. (2) When relationships are struggling, there is most definitely an absence of touch. Whether it is the struggles of a parent-child relationship, the routine friction between spouses, or ‘the big mistake’ that created a fracture between close friends, a warm, loving touch should be part of our tool box to bring healing and health back to the relationship. An authentic, genuine embrace can open the door to health more effectively than words and time. Also, if you happen to be on the receiving end of an embrace to heal a troubled relationship, don’t resist, reciprocate the embrace and you will both be better off for the touch. 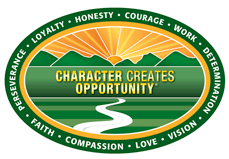 As we demonstrate the courage to incorporate touch in our most valued relationships, we will build and strengthen our character and Character Creates Opportunity® to improve the health of our relationships and set a great example for those around us.